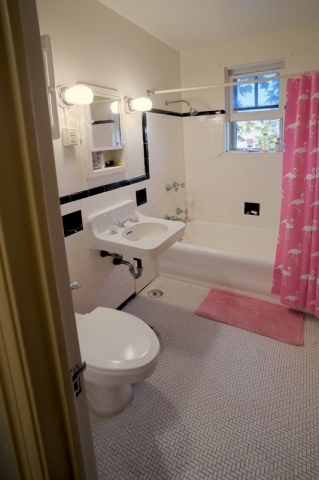 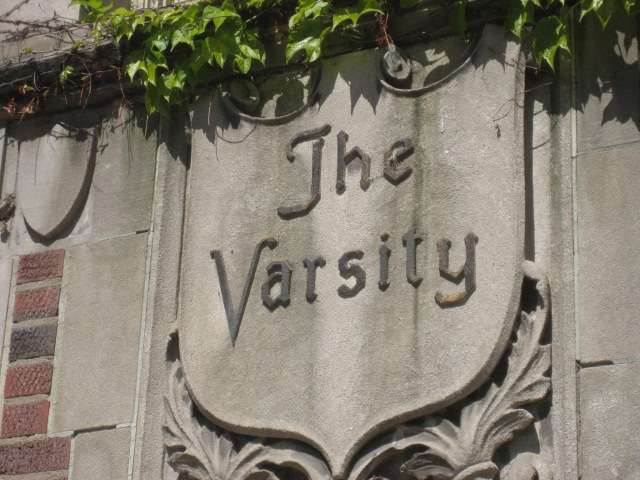 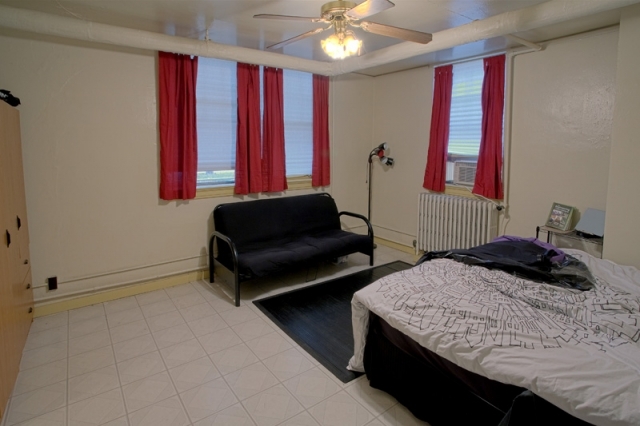 This two-bedroom apartment is located in the basement directly across from the laundry room. 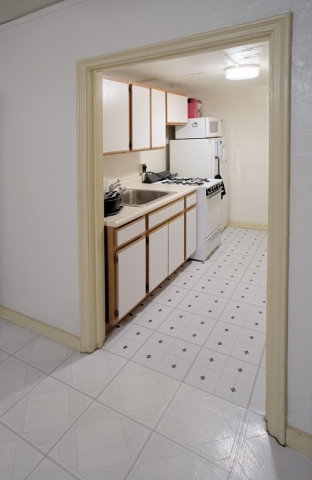 Secluded to its own section of the building, this renovated apartment has an updated kitchen and lighting. 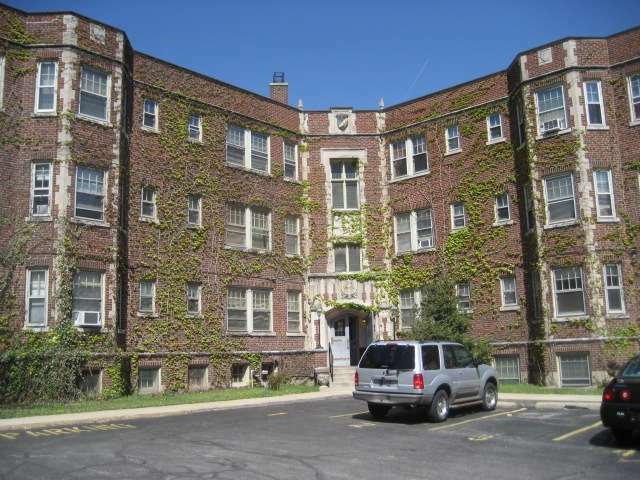 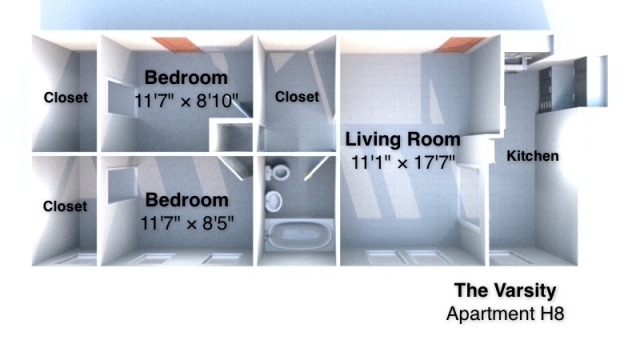 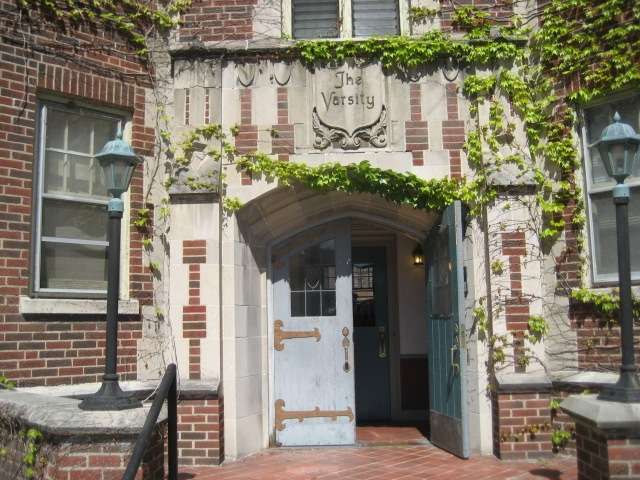 A one of a kind apartment, it is ideal for college students looking for space close to campus.